I have to explain this all the time. Judaism is a culture that has evolved from a group of people who shared a religion; I reject the religion while strongly identifying with the culture. Religion is a belief system based on faith in ideas that are either incompatible with observational science or outside its umbrella (ie not provable or disprovable). The prevailing example of such an idea is the existence of a god or gods. Culture is a set of behavior patterns shared by a group of people with a common background. Jews for example wear yarmulkes on their heads, avoid pork, circumcise their baby boys, make use of self-deprecating humor, guilt-trip their children, and go to medical school. The line between the religion and the culture that surrounds it is sometimes blurry, so, for example, I fast on yom kippur, light candles on shabbas, and favor jewish girls at the same time that I dismiss the notion of a god and the divine texts that form the basis of these traditions. There’s a hypocrisy here most fully realized at the crease that separates opposing pages of a North American siddur (jewish prayer book). I happily go to synagogue and sing jewish prayers with the congregation, following along the righthand page in Hebrew, a language I can read but not understand. Occasionally I make the mistake of looking over to the English translation on the left, where I see what it is that I’m actually singing, and it disgusts me. Modern secular judaism encompasses the majority of diaspora jews, and soon its leadership will be two generations removed from the holocaust. Without discrimination or a common belief system to isolate us, I believe assimilation is inevitable, and am not sure if this represents a loss or triumph for society. 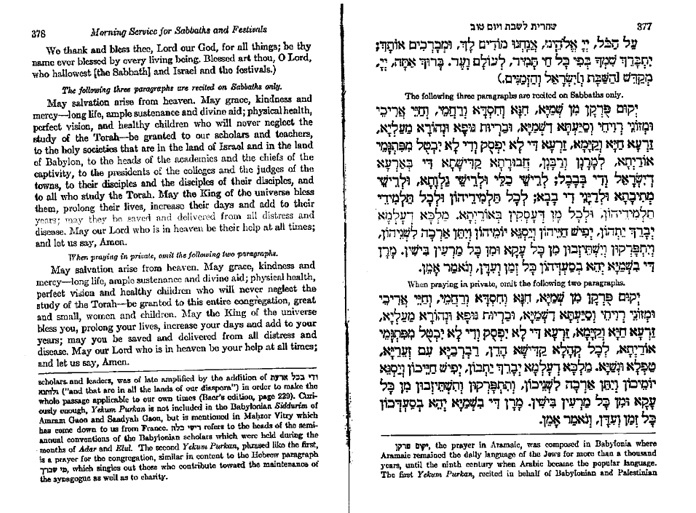 today’s times reports that a new prayerbook, expected to be adopted by most reform synagogues, offers a fourth column where a more “poetic” interpretation of the hebrew is presented. I have revised my thinking on this. That quote is no longer up to date. I think. I’m not sure. Who cares.